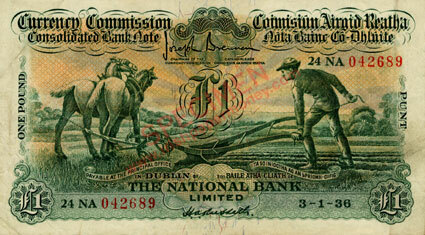 Consolidated (Ploughman) One Pound Note Valuations. Listed below are approximate valuations for Ploughman One Pound notes. 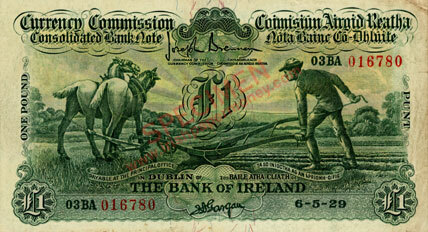 The values are based on auction houses, sales online and general market conditions. The valuations will be adjusted and revised on an-ongoing basis. 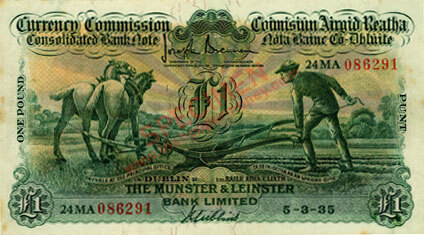 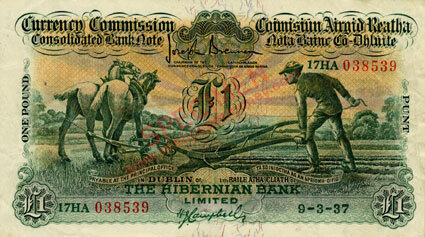 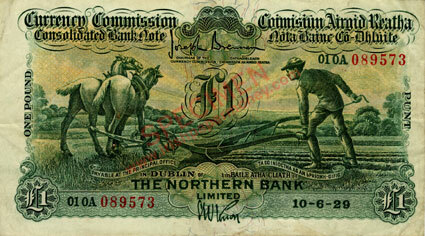 THE NORTHERN BANK LTD RRR — The rarest bank for the Ploughman notes.